As we all know, Helston and The Lizard is a haven for artists of all disciplines. And for the first time this year the artists of the future from Helston Community College are bringing their work into the community. Every year the art students of Helston Community college stage an exhibition of their work at the college, the event is well attended by parents and students but his year, for one day only, they will be showcasing their exhibition at the Old Cattle Market and inviting the pubic along. 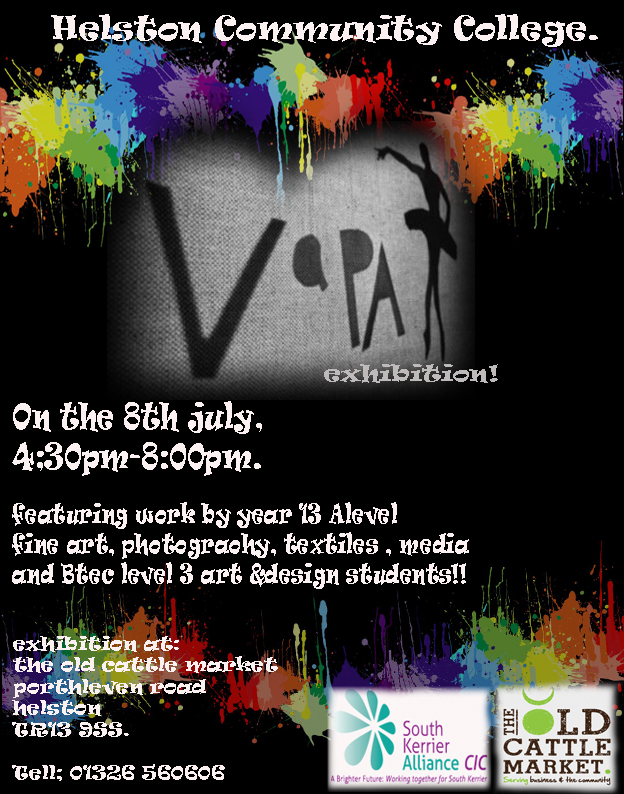 The event is open to the public from 4.30pm – 8.00pm on Tuesday 8th July.